I think having a deep connection with the ocean and atmosphere implies a level of humility that creates a common bond. There is no place Dave McLaughlin is more in his element than immersed in salty seas and rolling swells. When he’s not catching waves, Dave is organizing grassroots campaigns and bringing people together around a shared appreciation of the ocean. 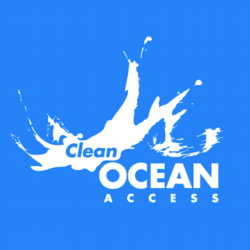 In fact, his love of surf and a series of fateful events served as catalysts to the founding of Clean Ocean Access (COA) back in 2006. 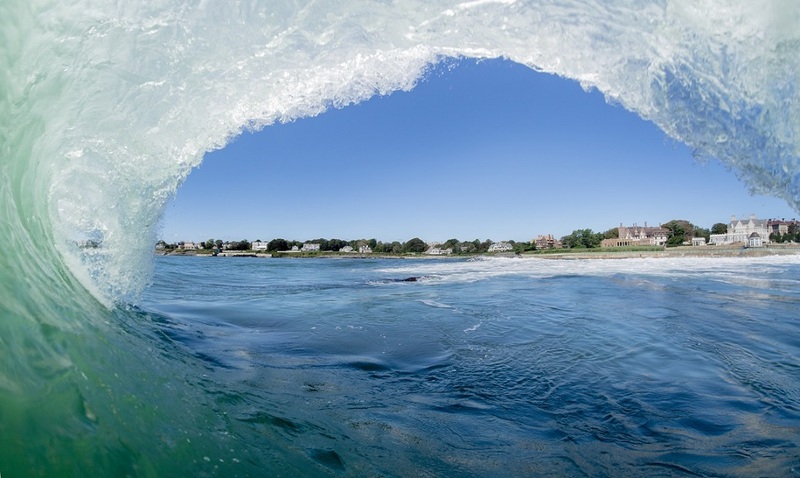 What started as a problem with public parking and a sewage spill turned into a convening of the community to act and address problems of beach access and water quality on Aquidneck Island, where Dave has called home for the past 34 years. Before his journey in the nonprofit sector, Dave led a career in information technology as an enterprise architect at Hasbro Toy Company. Dave also serves as the vice chair of the Cliff Walk Commission and interim chair of the Waste Water and Storm Water Committee for the City of Newport. He sits on the board of the Restoration Advisory Board and remains an active member of the Green Infrastructure Coalition on Aquidneck Island. Dave received his bachelor’s and master’s in applied mathematics from the Florida Institute of Technology with a concentration in atmospheric science and physical oceanography. When he’s not in the office, Dave can be found at city council meetings, weekend beach cleanups, and turning his compost pile. I was born in Washington DC and a few months later moved to Italy and lived there until I was 7. Spent 2 years in Scarsdale New York, 5 years in Hawaii, and then 4 years in Rhode Island, 7 years in Florida and now 22 years in Newport! It is a challenging question about “where did you grow up” because each chapter of my life was in very different locations and I still feel like I’m growing up! In the 70’s I remember seeing the blue water off Ischia in Italy. In the late 70’s I remember getting hit by a wave at Jones Beach on Long Island. But the ocean memory that sealed the deal for me was bodysurfing at Waimea Bay in November of 1983. So much happened that day, but I caught a left in the middle, and that is where it all started! Getting back out to the lineup after catching a wave! You just finished riding a wave that felt awesome, you muscles are recovering, but adrenaline has you going out for the next one, the time between each wave is predictable so there is time to breathe, and gratitude flows, and then total stoke to see other people ride a wave, you get new ideas, see new lines to draw, maybe see a turtle or duck or fish when duck diving. I have a desire to make sure that the next generation of wave riders have an equal opportunity to enjoy the experiences that I’ve had in the water, and that includes the friendships outside of the water too! I think having a deep connection with the ocean and atmosphere implies a level of humility that creates a common bond. But, the enthusiasm and motivation comes not only from the environmental side of things, but I also sincerely enjoy the ability to learn new skills and subject matters. I never would have thought that financial accounting and marine biology and punctuation would be things that I want to learn about or even more so care about, and everyday it fascinates me a bit more.